This month, I finished both the pieces I was working on! My Summer Sampler is now complete, but I’m going to wait to post any pictures until it’s framed. I was originally going to make it into a cushion but seeing the terrible state sofa pillows got into in my house, I changed my mind. I would be pretty sad if it got ruined before it had even made it to Summer! It’s hard to give a good sense of the size of it, but when it’s done it would be big enough to be a small blanket or a large wall hanging, which is what I want to do with it in the end! 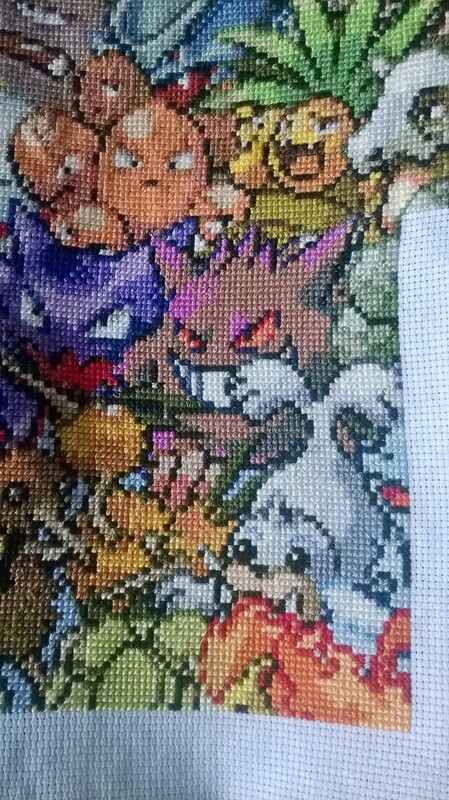 Hopefully I’ll have a framed sampler for you soon! Wow! 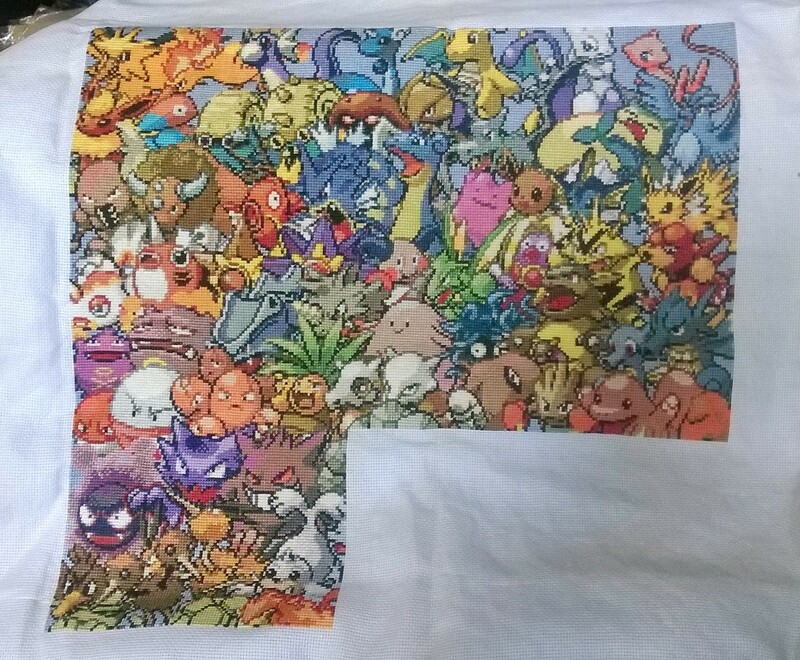 That Pokemon piece is looking amazing!! I had no idea it was so big. You are getting close to a finish! And on to Christmas cards already! You are on the ball, girl! Geishas – Completed At Last!